Located in the state of Florida, Parkland is a mid-sized city with a population of 28,354 people. At 84%, the majority of the Parkland population is White; this is followed by 7% Black and 7% Asian. If you are looking for a family friendly city, Parkland might be a good fit as 87% of the population over 15 years old are married, and 47% have kids who are 18 years old or younger. If you’re considering relocating to any new city, it could be a very discouraging task. However, it could also be a positive experience if you are willing to get to know the city before actually living in Parkland, Florida. Using the livability score which includes data from categories like cost of living, weather, housing, you can easily compare the best places to live in Parkland and also determine if there are any nearby cities that might be a better match for your lifestyle. You can also compare Parkland to Florida and the national average. 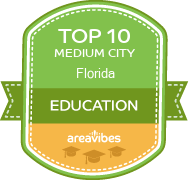 Parkland, FL receives 77/100 for its livability score; this results in a ranking of #272 in Florida and #3,126 in the USA. Compared to the United States average, Parkland ranks among some of the best places to live in the country! 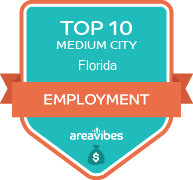 Based on the rankings for each individual category, Parkland has been rewarded with high marks for amenities (B+), crime (A+), weather (A), education (A+) and employment (A-). Parkland does not fare well for the following: cost of living (F) and housing (F). It might be wise to take a closer look at each category to find out why. Location, location, location - possibly the three most important words in your search for a new place to live. Fortunately, in Parkland, there is no shortage of amazing local amenities and interesting things to do. Crime rates can be the deciding factor for anyone looking to relocate to a new area. Parkland gets top scores for their low violent crime rates of 67 crimes per 100,000 residents, which are significantly lower than the national average. School test scores can be an important metric in deciding if the local area schools can provide a solid educational system for children. The schools in Parkland have a test score average of 77%, which is well above the US average. Assuming that Parkland meets all of your requirements, the next most important item to examine is the affordability of real estate in Parkland. Everything else becomes a lot less important if it turns out that home prices in Parkland are simply unattainable. Median real estate prices in Parkland come in at $490,100, which is 193.8% higher than the Florida average. The home price to income ratio compares the median home prices to the median household income. In Parkland, the home price to income ratio is 3.8, which is 11.8% higher than the Florida average. Purchasing your new home can come with many financial benefits, some of which are more lucrative than others. Perhaps the most notable benefit could be the appreciation of your new home. Home appreciation rates are a good way to generate tax-free equity on a long term basis. The year over year appreciation rates in Parkland were 4.2%, and the 5 year appreciation rates came in at 5.1%. How Do You Rate The Livability In Parkland? Parkland, FL offers a tropical environment with lots of things to see and do. You'll also learn more about the history of the city and get insight into the wildlife of the area when you take advantage of the attractions that Parkland has to offer. The Loxahatchee Everglades allow you to see the gators and water animals in the area. You can go on a sightseeing tour to get details on the natural scenery in the area while you ride an airboat. If you want to see an off-Broadway play, Broward Stage Door Theater is the place to go. There are plenty of quality shows at the location several times a year, so be sure to let your friends know when you find out there's a production you want to see. When you want to do some shopping, the Promenade at Coconut Creek provides a number of quality shops with both trendy and vintage clothing that will keep you looking your best. Source: The Parkland, FL data and statistics displayed above are derived from the 2016 United States Census Bureau American Community Survey (ACS).